I think the first one is about 150 MB, the others are less than 10MB. also I’d like to know If your game has voices in german? Hi Fred, how are you going about changing the languages? Are you just switching up the files, simple delete copy paste kinda deal? If so can you give some details on your process? I have the german version 1.08, and I would really like to switch to english. Maybe we could do a swap. That’s an interesting scenario lol. and point the game to get the files there. This works perfectly for the English installer to switch to any language we have the needed files. Your case is different, we would need to replace the existing files because It’s much easier and english is the native language. If you want the english files I can upload em for you, give me some hours. Geez,that would be fantastic if you could upload em somewhere. Really. Fantastic. So singer, could you please upload your files for me? I’m uploading the english ones for you. It’s likely I won’t get to it till tomorrow, let me see what I can do. What a relief if this works. Send me an email when you have uploaded, and where you’ve uploaded to. Ok, here are the english files. All you need to do is overwrite the existing ones with these ones. Puedes hacerme un favor y elimine este mensaje después de descargarlo. Además, he descargado el archivo y funcionó sin problemas. 1 – Do you have FEAR (The full game)? 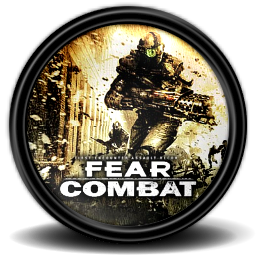 or Is this FEAR Combat? 2 – Does your game have text only in german? or has voices too? The files I got look like from the Full Version of the game, that contains the voice files In the FEARL.Arch00 file. I wonder If I can get that one too ( It’s about 100 MB in size ), but I’m not sure I can hack the game to accept a patched file, will have to test. I’m currently uploading. it’ll take some time. and it’s voice and text. ¿Puedes tu hacer el mismo como el otro mensaje anteriormente, por favor? Gracias por la ayuda, y buenas suerte.